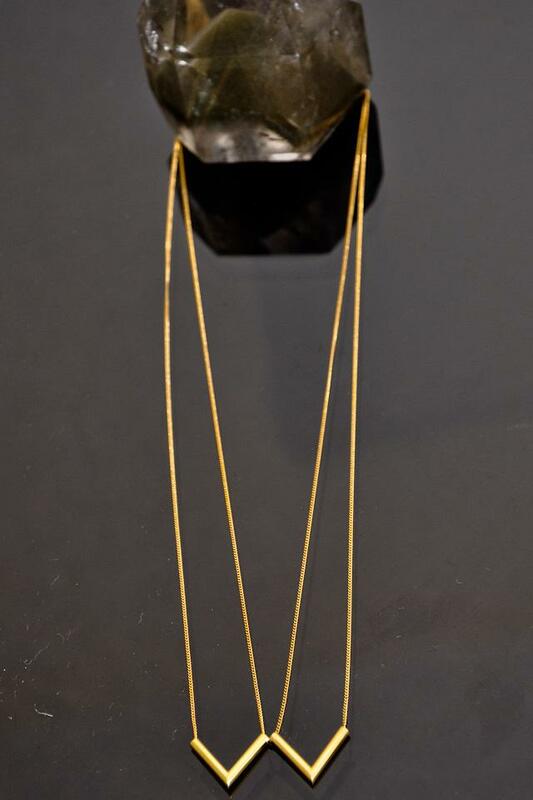 Beautiful elegant necklace from Karin Andreasson has 'two point' charms in a W formation are on an extra fine chain. 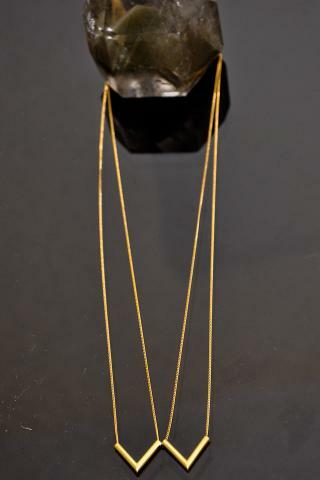 The necklace measure 48cm, approx.19” with 48cm, 19” chain on each side of charm. The charm measure 4cm x 1.5cm.